When it comes to Buon Ma Thuot (Buôn Ma Thuột), Vietnam (Việt Nam) people often think of the vast coffee fields. 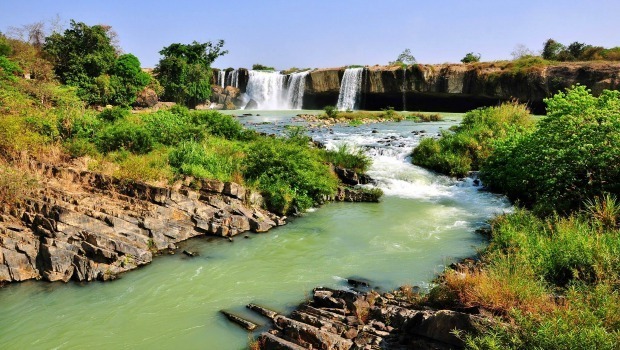 However, not only that, Buon Ma Thuot also attracts tourists by the majestic towering waterfalls, national parks and vast mysterious beauty of the legendary Serepok line. 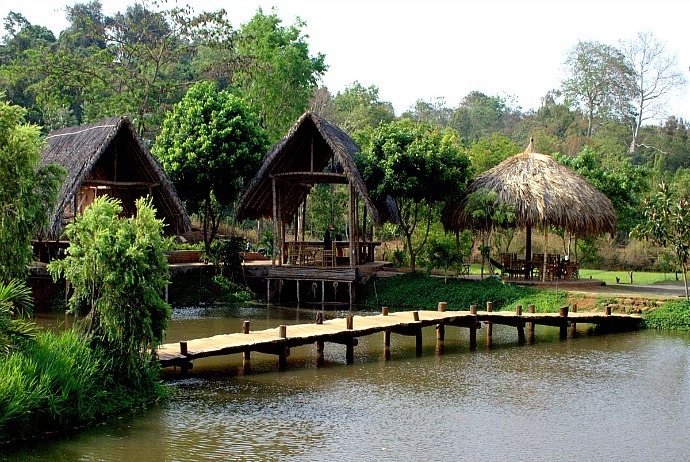 Let’s discover Buon Ma Thuot if you have an intention of traveling to this place in Vietnam. 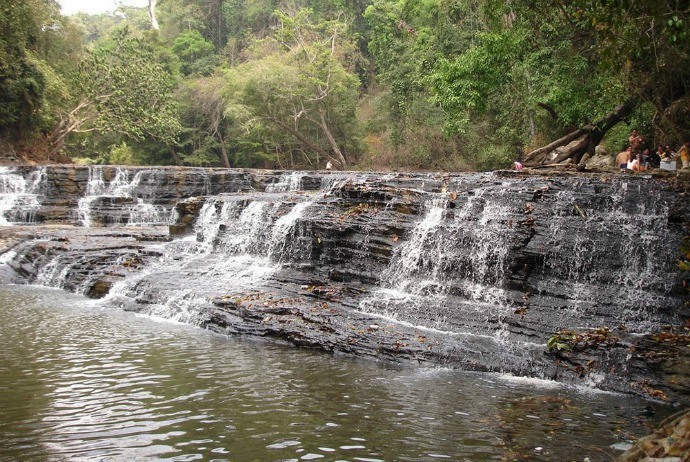 The waterfall system: Gia Long – Dray Nur – Dray Sap belongs to Srepok River, Nam Ha (Nam Hà) Commune, K’rong K’No district, Dak Nong (Đắc Nông) province. 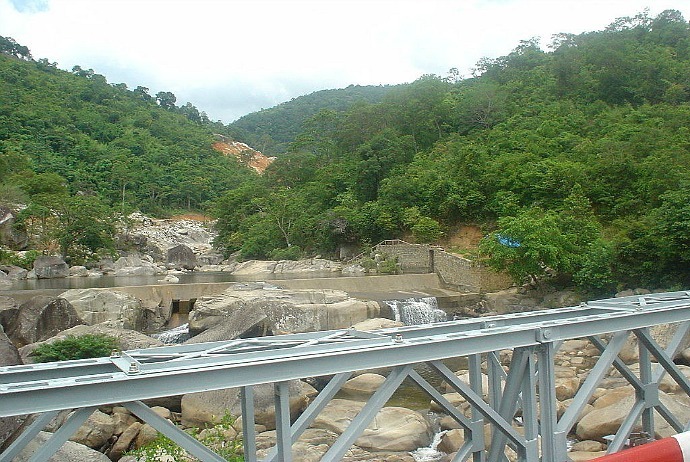 The waterfall is located about 25km away from Buon Ma Thuot city, following the National Road 14, and about 3km from Buon Kop (Buôn Kốp) hydroelectric. This is a spectacular waterfall that the Mother Nature has bestowed on Dak Lak. Dray Nur means female waterfall. So, this waterfall also has a common name as Wife waterfall (Thác Vợ). Dray Nur is located next to Dray Sap (also known as Husband Waterfall) (Thác Chồng) and is just a piece of suspension bridge crossing Serepok River. Both are beautiful and majestic waterfalls. Buon Don is a village on the plateau located in Krong Na commune, Buon Don (Buôn Đôn) District. Formerly, when referring to Buon Don, it means a large area, stretching along Serepok River with mild flowing water all year round. Girls, boys, the old, young people are intoxicated with folk dances in celebrations. 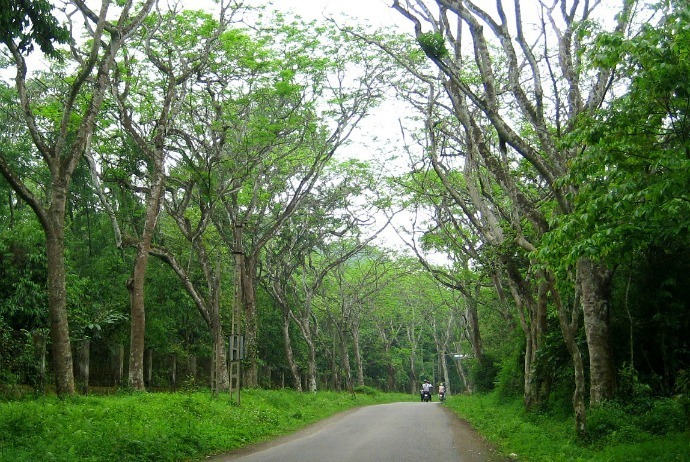 Here, hunting and taming forest elephants are very famous. Visiting Buon Don, you could explore the cultural life, daily life, customs of many people, and discover the architecture of the Khunjunop grave, wild travel with an elephant on Serepok River, visit the national park Yok Don with the reserve area of rare flora and fauna. Also, from Buon Don, tourists could also use a canoe to flow down the Serepok, have visits and excursions at the 7-branch cascade. If you would like to explore the culture, customs in Buon Don, local people will organize a night festive where you can drink the Can wine and enjoy folklore traditions. 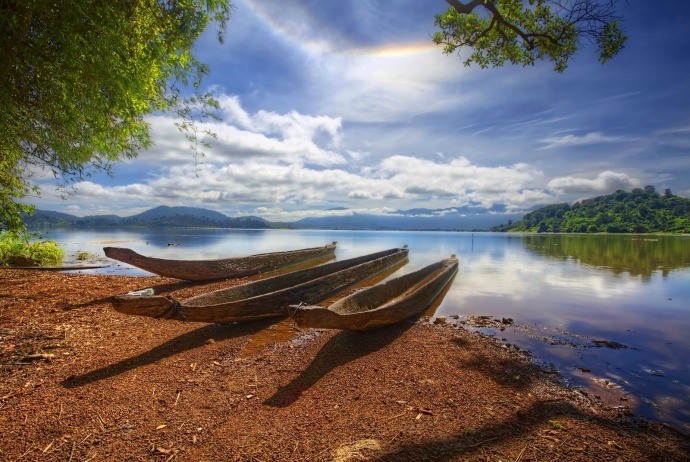 In regard to Dak Lak, it is often mentioned to the myth of Lak Lake – one of the largest natural freshwater lakes, connected to Krong Ana River, is about 500 ha, located at an altitude of over 500 meters above the sea level. This is a unique eco-tourism attraction for both domestic and international tourists, with a romantic natural beauty of the surrounding mountains and forests. 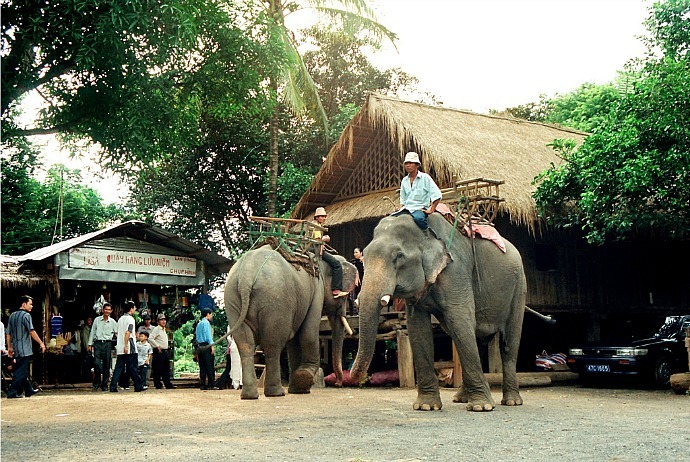 Apart from natural beauty, fresh air and adventures on the back of the elephants, the wooden boats with excursions to explore the cultural and character of M’nong villagers was, is, and will make Lak Lake an indispensable destination in the tours to Dak Lak, in particular, and the Central Highlands, in general. 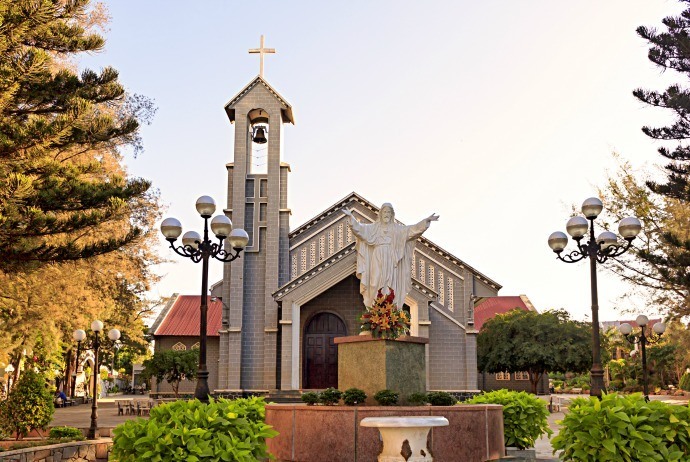 Located at no.02 Phan Chu Trinh street, Tan Loi (Tân Lợi) Ward, Thanh Tam (Thánh Tâm) Cathedral is the main cathedral of the Diocese of Buon Ma Thuot. With the design like that of Ede long house, and completely made by wooden, the cathedral is also a place worth to visit and take photos due to the “ethnic” architecture style. The cathedral is 45 meters in length and 12 meters in width. The total area is 828 m2, with a capacity of 1,200 seats. The lake is about 12km away from the center of Buon Ma Thuot to the southeast, located in Ea Kao commune. 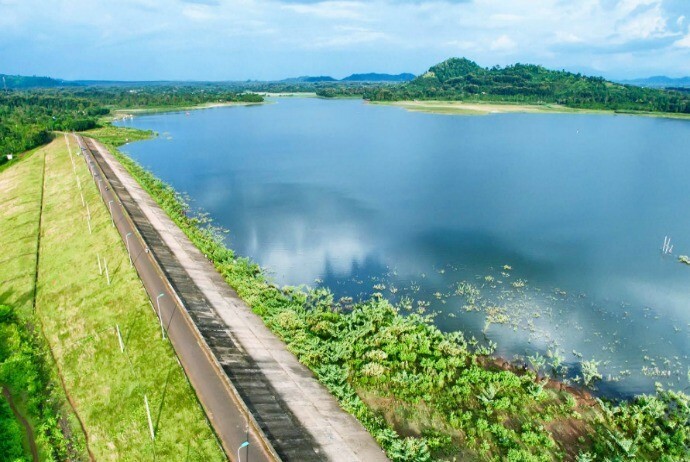 The lake was formed by the blocking of the streams like Ea Knin, Ea Kao, Ea Chat, Cu Mblim (Cư Mblim)…for building irrigation works for rice and coffee. An interesting thing is that, despite the operation of this irrigation work was since 1983, up to now, the space of Ea Kao Lake still has an unspoiled beauty. Beneath the water, there is a varied ecosystem with many species of freshwater fish and shrimp. Around the lake, there are rolling mountains along with rich flora and forests with many ancient trees. On the early days of June, the water level in Eo Kao Lake was low disclosing the soft red, grassy soil strips, making this place an ideal destination for residents and tourists to go sightseeing and relax. Also known as Ba Tang (Ba Tầng) waterfall, (three floors), Thuy Tien waterfall is located in Ea Puk commune, Krong Nang commune. This is a beautiful, pristine landscape in the middle of mountains and forests with numerous of boulders stacking on each other and the forest tree roots tightly knit with each other, creating a fancy scene. The waterfall has three layers of water. The first layer is narrow, with a small slope and easy up and down stairs. The second layer extends with many stone stairs. There are also shallow lakes which are ideal for swimming. The third layer is the water flowing down a broad and deep lake. 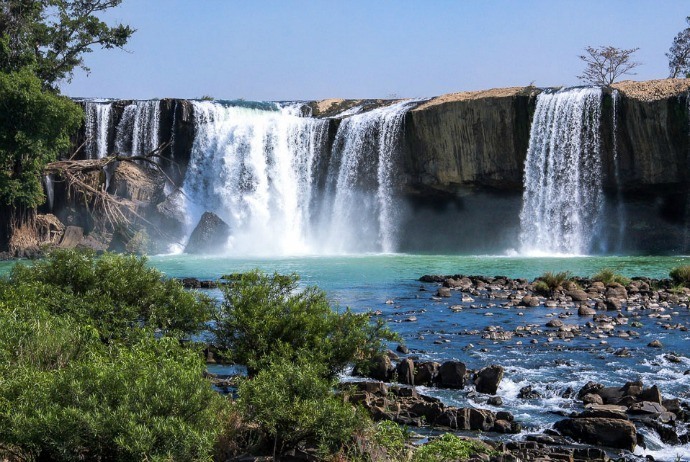 In compared with other waterfalls in Dak Lak such as the waterfall system Gia Long, Dray Nur, Dray Sap… Thuy Tien waterfall is lesser known because of the inconvenience of transporting. However, with its beauty, it still attracts a lot of people to visit and contemplate its unspoiled beauty. Often called as Co Thon (Cô Thôn), Ako Dhong village is located in the north, about 2km far away from the city center of Buon Ma Thuot. “Ako” in the Ede language means watershed and “Dhong” means valley. Here, the village festivals are held regularly with lyrics, music, traditional dances resounded under the long roof. The colors of the highlands remain forever in Ako Dhong village, attracted many tourists when visiting this basalt land. That is why Chu Yang Sin has extremely spectacular scenery with more than 40 high mountain ranges, with different low and high levels, many slopes, vast forests, streams, rapids and waterfalls intertwined. Chu Yang Sin range runs following the direction of east-west, divided into two areas North – South. It is the highest mountain range with a peak of 2442 meters. Chu Yang Sin has been named as the second roof of the Central Highlands, after the Ngoc Linh (Ngọc Linh) peak in Kon Tum province. When visiting the national park, tourists will be able to enjoy some kinds of ecotourism such as elephant riding, walking, hiking, and mountain biking in the primeval forests. Especially, at night, tourists could go to see wild animals. During the day, they could take a canoe to go down the romantic Serepok River, visit villages of the indigenous people in Central Highlands, drinking Can (Cần) Wine, and enjoy the sound of legendary orchestra of gongs.